After more than a decade of experience in the financial services industry, Ed Bradford was looking for a way to better meet the unique needs and financial goals of each of his clients. Partnering with Raymond James gave Ed the ability to offer a wider range of financial and retirement planning strategies without any conflicts of interest. He made the decision to become an independent financial advisor and founded LiftBridge Financial Advisors in 2011. 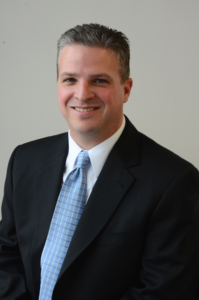 Today, he is the managing partner of one of the largest and fastest growing independent financial services practice in the Rochester, NY area. A graduate of State University of New York at Buffalo, Ed completed his Accredited Asset Management Specialist® designation in 2006. He holds his Series 7, 9, 10, 63 and 65 registrations. Ed is a member of Fairport Rotary and serves on several boards, including: Fairport/Perinton Merchants Association, Fairport Canal Days, and the Advent House. A Fairport resident since 1999, Ed enjoys spending time with his wife Kate and their two daughters. They can often be seen at various Fairport events or walking their dog, Maizey.